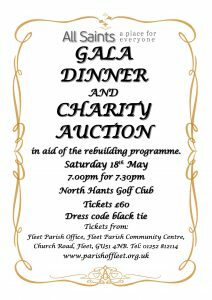 This promises to be a wonderful evening with a 3 course meal, aperitif and glass of wine included in the ticket price (£60). 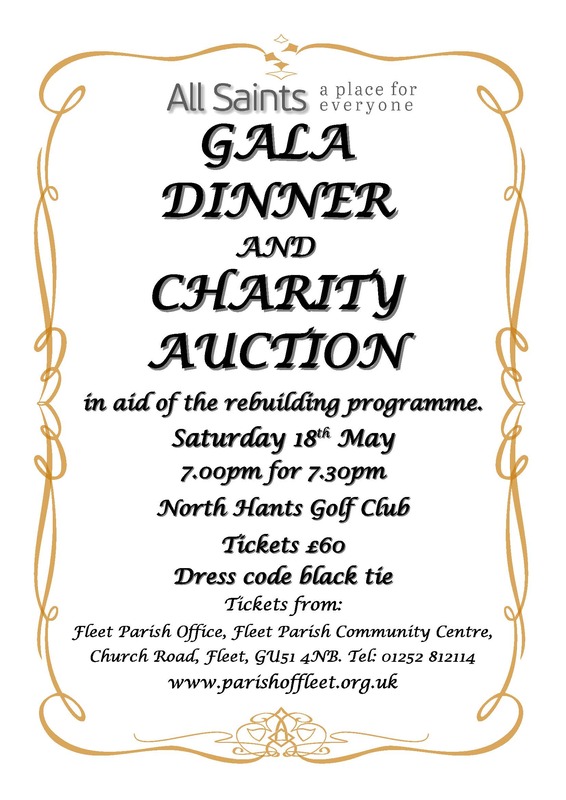 It’s the perfect excuse to dress up and do some good by bidding for some of our lovely auction items in aid of the All Saints for Everyone project. Come alone/together to join a table with others or invite a whole group of friends and make up your own table (8-10 people). Please contact our Parish Office for more details.